Tired of the same old brownie? Here are four ways to jazz things up. Admit it: we all have a soft spot for box mix brownies, slightly undercooked and fresh from the oven. But for those days when you need more glam, here are four ways to change it up a bit and give those brownies a little bedazzling. Added bonus: these recipes are all dorm room friendly, so head to your common room kitchen (or your own kitchen, if you’re so lucky), and get baking! For those of us who are a bit too lazy to turn on the oven, or simply don’t have one in our dorm, there’s the glorious invention that is the mug brownie. 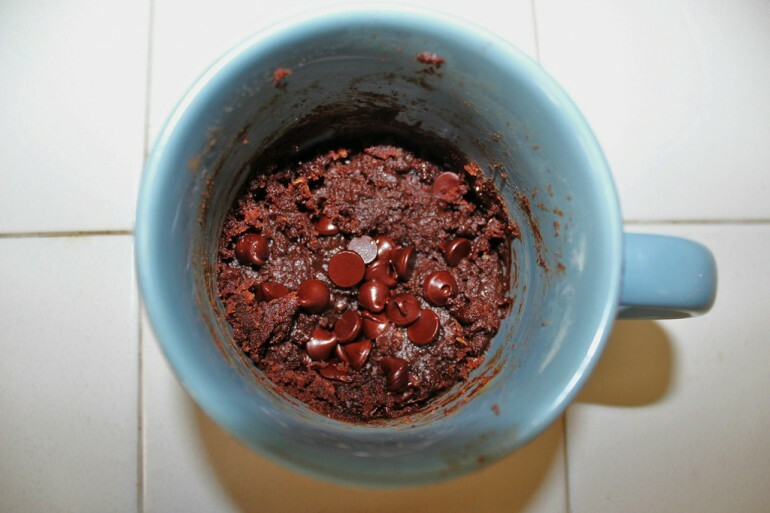 All you need to do is throw in some simple ingredients (outlined here) into a mug, put it in the microwave and boom: brownie. This variation is for those who love a good cookie, but don’t want to give up the whole brownie experience. 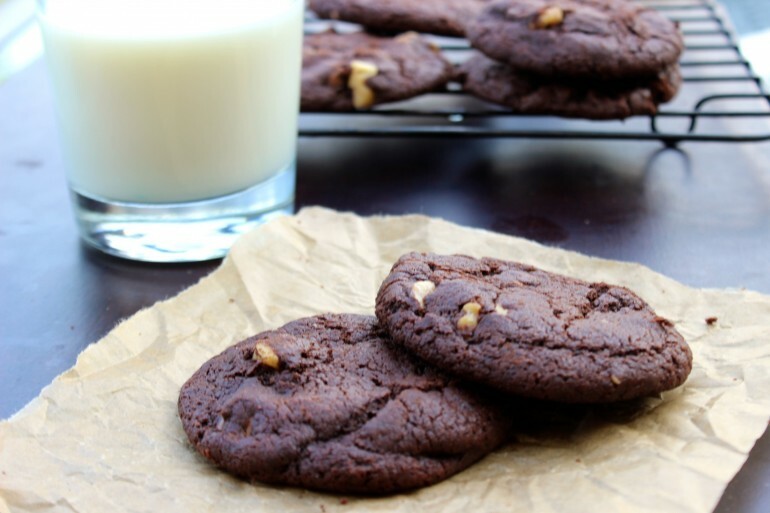 Our friend Vedika at Spoon has given us this recipe, which combines all the best things about cookies with the undeniable deliciousness of brownies. Who can resist the gooey inside of a brownie and the crunch of a cookie, all in one package? No one. These babies, pictured above, take the cake when it comes to fudgy, dense and delectable. Additional cocoa powder replaces the weight of the flour, resulting in a richer, chocolatey flavor. Flourless also makes this brownie variation gluten free! So go ahead. Make a batch, smother them with vanilla ice cream and dig in. This twist is especially pertinent as we are all about to be inundated with more Halloween candy than we could ever eat (or that’s what we like to tell ourselves, anyway). Either way, if you find yourself with leftover candy bars, feel free to chop them up and throw them into your favorite brownie recipe. Whether that be a box mix, the flourless brownie from #3 or any other recipe you have, candy will make for an exciting addition. Of course, spicing up your everyday brownie doesn’t end here. Feel free to go crazy with the add-ons. Nuts? Sure. Dried fruit? Why not? Let your imagination run wild and don’t settle for the same old box mix brownies!